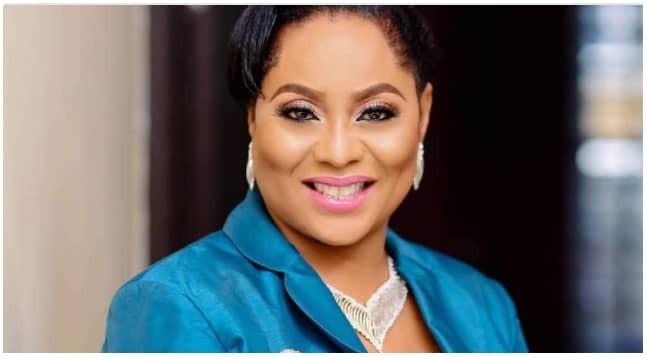 The evangelist, Mrs Elishamma Ideh has joined the race of those contesting the presidential position in Nigeria officially. Ideh at her official declaration in Abuja on Thursday, according to Ripples Nigeria stated that Nigeria deserves more than it presently has as leaders, and that the people are better than what presently obtains. Ideh, who is the President/Founder of Christ The Ever-Present Ministry -CTEM, Lagos, and also the initiator of Partnership For A New Nigeria -PFANN, revealed, that she would be running under the platform of the Alliance for a New Nigeria (ANN). She also noted, that “Nigeria today stands at a critical cross-road, poised uneasily between two destinations: the one leads to the prosperity, power and greatness that her enormous natural and Human Resources should rightly bestow upon her, while the other leads to the very real prospect of a continuation of the present decline in her economic fortunes, to the point of collapse – and indeed to outright disintegration”. As Nigerians go to the polls next year, Mrs Ideh noted that “Nigeria needs a different model of governance today. Nigeria needs a different kind of LEADER today: a leader who combines integrity with intelligence and a deep and vast understanding of the implications of the 21st global political economy and Nigeria’s place in it (as defined, for example, by the Global Competitiveness Index of the World Economic Forum, and the United Nations’ Sustainable Development Goals); Nigeria needs a leader who combines a no-nonsense strength of character and the moral authority to get things done in an efficient and timely manner, with the compassion of a mother for her children, as well as for the weak and the downtrodden in our society, along with a burning desire and a practical agenda to change their lot. “At this critical point in her journey, Nigeria needs a leader whose own personal life-journey over the years – in the service of God and man – is capable of inspiring a generation of Nigerians to imbibe habits, and carry out actions, of distinction; a leader who will inspire people to build communities of excellence; a leader whose example will move people to resolve the contradictions and contentions that threaten the corporate existence of our dear nation today and set her on the path to become a leading member of the global community of nations, able to interact with other nations with understanding, confidence (in herself) and respect for all. “Nigeria needs a leader who, along with patriotic citizens wherever they may be, will stand at the vanguard of an economic as well as an ethical revolution, along with a new sense of identity, citizenship and civic duty among our people”. She further lamented, that “Over the years, as we see our resources dwindle by the day, and as we see our hopes shattered, we have learned to lower our expectations of our government and what it ought to do for us. We have learned to lower our trust in our neighbors, and we have learned to question ourselves as individuals; we have learned to diminish our worth as humans; we have learned to denigrate our values; and we have learned to doubt our capabilities. “Nigeria’s terrible reversal of fortunes in just over a half-century of our existence as a nation did not just come upon us like a thief in the night. Our situation today is a culmination of a prolonged crisis of leadership and a dysfunction in governance – a crisis and a dysfunction arising from weak or non-existent institutions, and a flawed constitutional framework that allows the powerful to get away with serious breaches of the law and the demands of basic decency, while punishing the weak and victimizing the innocent. “It is a crisis of leadership, and a dysfunction in governance, that cannot be allowed to continue any longer if we are to survive at all – let alone succeed – as a nation. Our young people, in particular, can no longer wait, driven as they are by the fear that the ‘tomorrow’ they were promised yesterday has perhaps already come – AND GONE”. She also vowed, if elected president, to “confront the monster of corruption with utmost vigour, but with a different mindset from past and current efforts. For us in the Alliance for a New Nigeria, corruption goes beyond just the stealing of public funds – as terrible as that is. It is also about people deliberately warping our collective values. It’s also about people sabotaging the government’s developmental efforts in order to gain some political advantage or score points. It is also about people sowing the seeds of discontentment and division among our people in order to undermine the political and electoral process. It is also about flagrantly disobeying court orders, denigrating the image of our judiciary and attempting to institute a parallel system of justice for narrow advantage. It is also about degrading our physical and moral environment for short-term gain, and it is also about promoting a culture of impunity in both words and actions”.